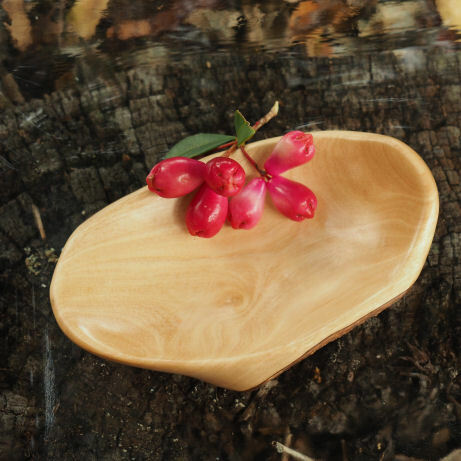 Beautiful small wooden bowl hand made from Australian native Lilly Pilly timber. This is a natural timber wood item from a sustainable source. Featuring a bowl with an organic rim and attractive grain, the sides retain the bark. 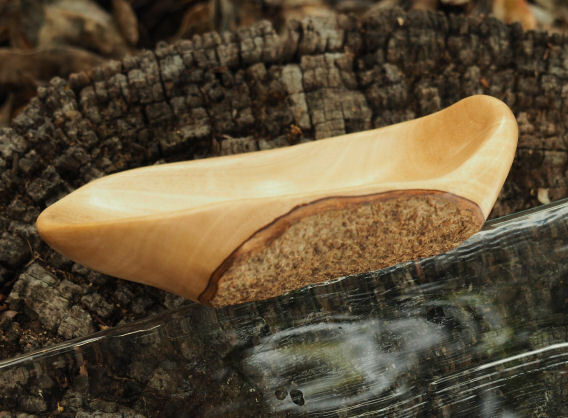 The item has been heat treated to kill any pathogens. Perfect for potpourri in the bathroom, ear-rings or rings at the makeup table, small change or as a conversation piece in any other room. 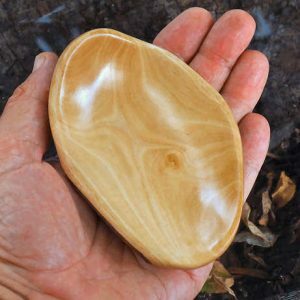 I personally hand carved it to become a shallow wooden bowl just using knives and sanded to a smooth finish before having several coats of natural vegetable gums to give it a durable and shiny finish. 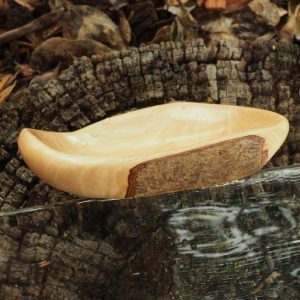 If you want a wonderful timber item, this is for you! (or as a gift 😉 ) It is so nice I hate to sell it! Posted in Wooden Bowls (for sale).